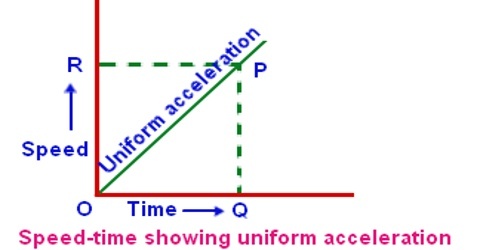 Uniform acceleration: If the acceleration always remains constant, then that acceleration is called uniform acceleration. 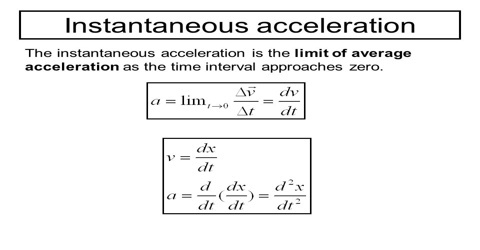 The acceleration of a freely falling body due to the action of gravitation is uniform acceleration. 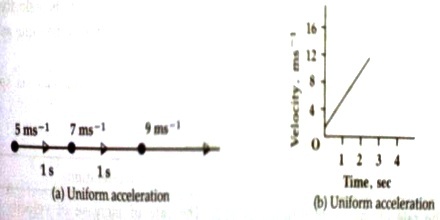 Equal force acts on a body of uniform acceleration. 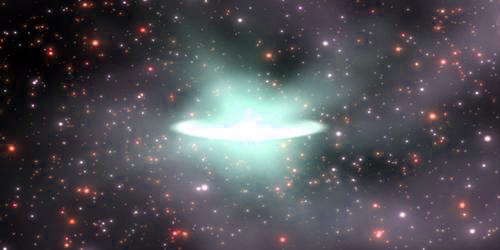 Both the magnitude and direction of uniform acceleration remain constant. 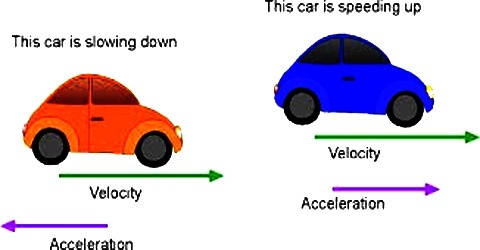 So, uniform acceleration occurs when the speed of an object changes at a constant rate. 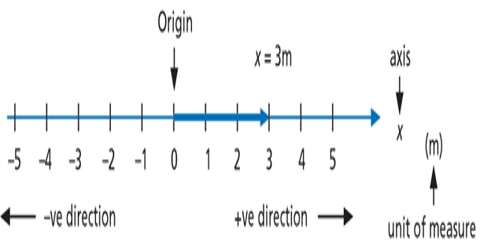 In figure (a), uniform acceleration is shown by successive change of velocity with time along a straight line. 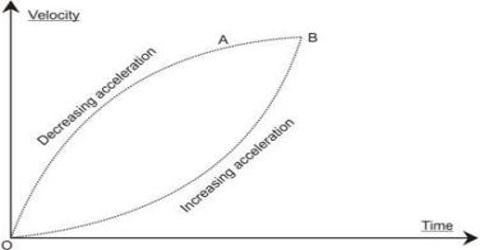 In figure (b) uniform acceleration has been shown by a graph. 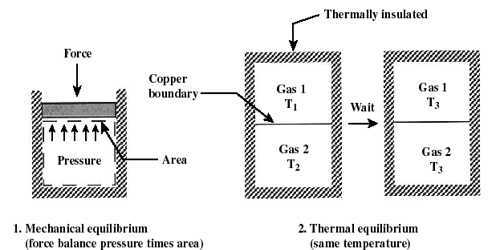 Here the value of uniform acceleration is 2 ms-2. In case of uniform acceleration the graph is a straight line and the slope becomes constant. 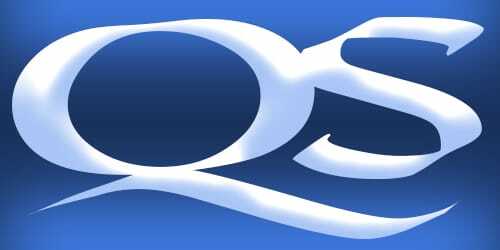 The uniform acceleration of a body is 10 ms-2 means that the velocity of the body changes in each second by 10 ms-1 in the same direction. A car was travelling at a speed of 19.4 m/s, the driver saw a rabbit on the road and slammed on the breaks. After 6.0 seconds the car came to a halt, how far did the car travel from the point where the brakes were first pressed to the point where the car stopped? 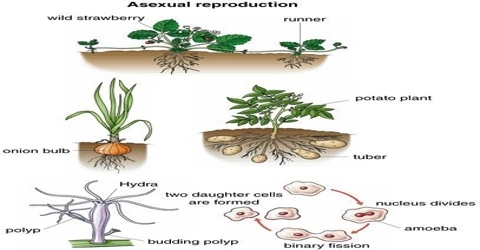 t = 6s and d = ? The car stopped after 58 metres.